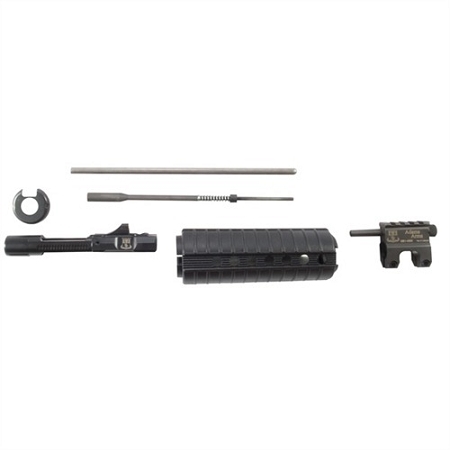 <="" a="">Kit has everything you need to replace the standard gas system in your AR-15 and convert it to a reliable, positive-cycling, gas piston system. Eliminates venting of hot gases and powder residue into the bolt carrier and receiver for reduced fouling and less wear on the action. Feeds more smoothly, maintenance is easier, and the gun runs cooler, too. Short-stroke piston shaft eliminates concussive gas expansion in the upper receiver for less violent cycling and reduced felt recoil. Easy to adjust for three levels of gas release: normal fire, firing with a suppressor attached, or a single round fired without cycling. Picatinny rail on the gas block provides mounting space for a variety of front sights. Installation requires removal of original gas block, but no permanent alterations to barrel or upper receiver. Remove the piston system at any time and reinstall the original parts. 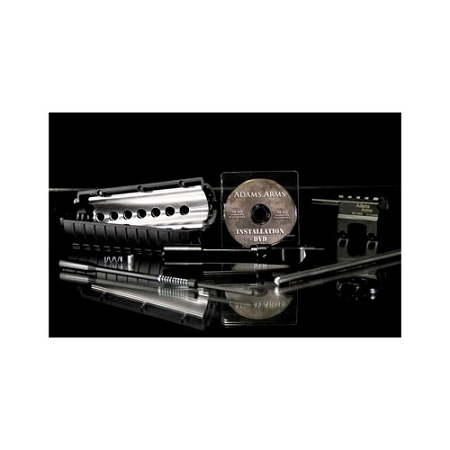 Replacement handguard provides extra internal clearance for piston rod and has internal shield to protect your hand from heat buildup during sustained fire. Separate models for three popular gas system lengths: Carbine, Mid-Length, and Rifle. Tactical Carbine kit comes with a Midwest Industries free-float quad-railed, Picatinny handguard (standard M4-style plastic handguard also included).